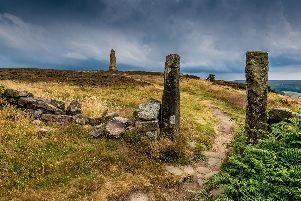 The North York Moors National Park’s art gallery is set to become the only venue in Northern England to host a touring nature exhibition which is a unique collaboration between an author and an artist. The National Park’s Inspired by… gallery at Danby will this summer host The Lost Words exhibition which is on tour from Compton Verney Art Gallery and has been widely praised for helping reconnect adults and children with the natural world using the power of words and art. The exhibition will run from June 15 to July 29 and will display the ‘spells’ by writer Robert Macfarlane and watercolour illustrations by artist Jackie Morris that were originally used to create The Lost Words book published in 2017. The book itself has become, in the words of The Guardian, a ‘cultural phenomenon’ credited with inspiring the nation to look afresh at the wonders of nature. It is widely read in schools including many across North Yorkshire. The exhibition will feature 20 of the spells written by Macfarlane, each based on a word such as conker, dandelion and wren; words that are increasingly being lost from everyday language. Alongside the poems 50 watercolours by Jackie Morris will be displayed, some of which incorporate gold leaf as an expression of the artist’s desire to help viewers go on a journey where the familiar suddenly appears magical once more. A series of other activities related to the Lost Words exhibition are also being planned by the National Park including workshops and talks. Sally-Ann Smith, curator of the Inspired by… gallery said: “The Lost Words is a fantastic exhibition that inspires visitors to stop and think about how magical nature is in today’s world.